Introducing the Nighthawk AAX4 AX3000 4-Stream Wi-Fi 6 Router by NETGEAR. Built with the latest generation Wi-Fi 6 technology, the Nighthawk AX4 provides greater network capacity with consistent and powerful signal strength to all your connected devices. David Santos is the CTO of AFKgg Gamer Lounge, located in San Jose, California. Here’s here to tell you how Orbi Pro solved AFKgg’s network issues like deadzones and dropouts, and how Orbi Pro can help you get Better WiFi, Everywhere. While they haven’t always received the recognition they deserve, female artists should be appreciated as fundamental drivers of art’s evolution. 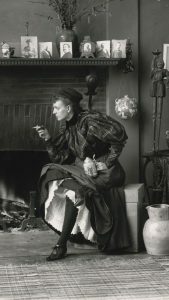 Without the revolutionary contributions of household names like Mary Cassatt, Frida Kahlo, and Georgia O’Keeffe, and lesser-known artistic geniuses like Hilma af Klint, Amrita Sher-Gil, Frances Benjamin Johnston, and countless others, the world of art would not be what is it today.